Nick D’Angelo, aka “the angel”, tends bar at Przybylski’s Circle Bar, and gets off on refusing to rob the old bar-owner blind. He had enough negativity in Nam and now he just enjoys the nightly show from his vantage point behind the horseshoe-shaped bar. Then police detective “Bootsie” Mazzuca strolls in one day and tells him that Nancy, Nick’s ex-wife, has been murdered and they need him to come and ID the body. That’s a hell of a way to start the day, and Nick shows Mazzuca with his fists what he thinks of the cop’s barside manner. When Nick wakes up in the hospital he finds that his troubles are just starting and if he doesn’t watch his step, he’ll be joining his ex once again — this time in Extreme Unction! 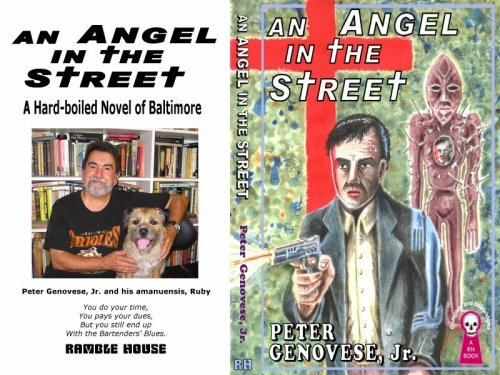 This is the novel that rips the lid off the underbelly of life in Baltimore and Highlandtown.